Star Wars fans can count down to the next movie with these droid figurine alarm clocks. 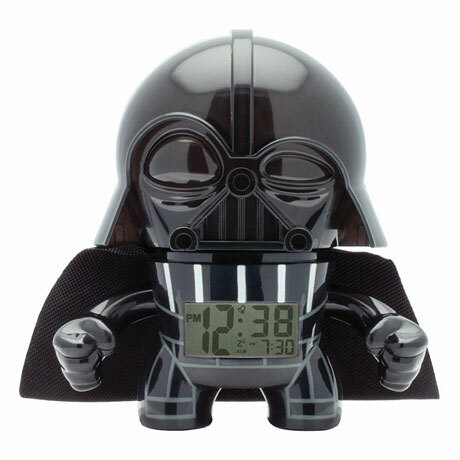 Each clock also doubles as a night light to keep away the Dark Side. Press the head to snooze and light up the LCD clock face. Cell button battery included. Plastic. 3½.